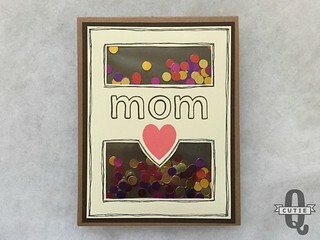 CutieQ Cards n Crafts – Mother’s Day Cards | Living life in the carpool lane.. 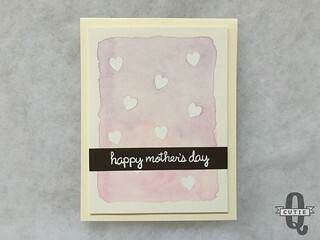 The Mother’s Day greeting cards are up in the Etsy shop, CutieQ Cards n Crafts! There are three card designs. I made four of each card design. That means each of these cards are in very limited quanities, so if you would like to purchase one, act now! Once these are all sold, then they are gone! I’m also asking that if you want to make a purchase, please consider purchasing ON OR BEFORE APRIL 30TH. This helps me make sure that they get shipped out in time for Mother’s Day. 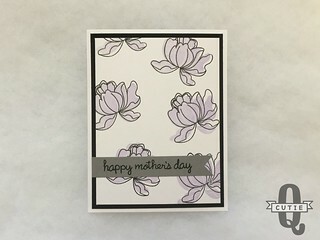 I will also be sending limited quantities of all of these cards to the flower shop, All That Blooms, in Chino Hills, CA. I sell my cards there. If you find yourself in that area, please stop by and look at the cards I have for sale. Are you ready for Mother’s Day? Make sure you have the perfect card! Click here to go straight to my Etsy shop!